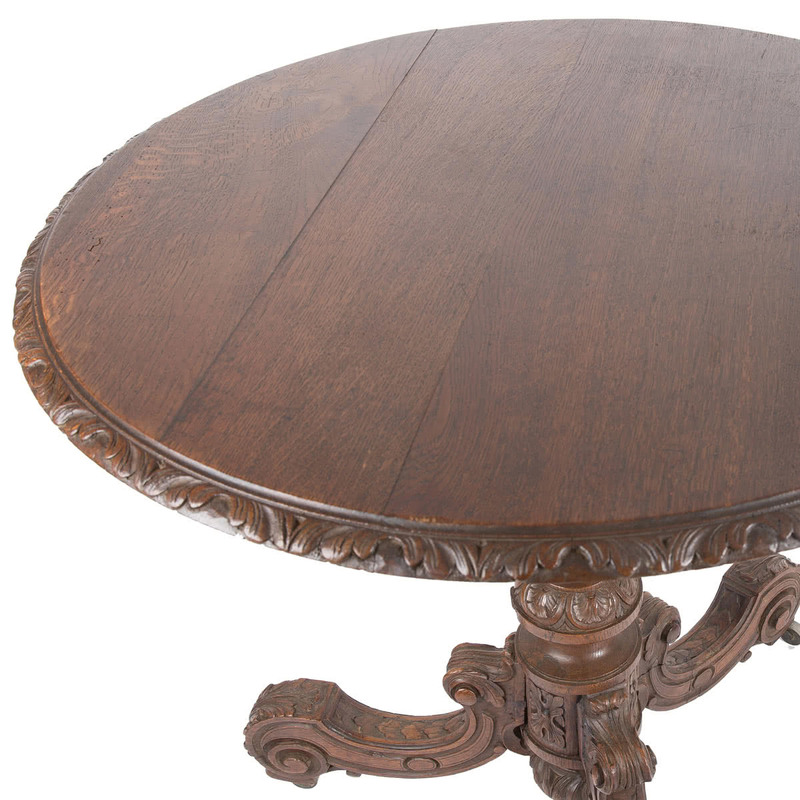 Table in good and sturdy condition, ready to use. 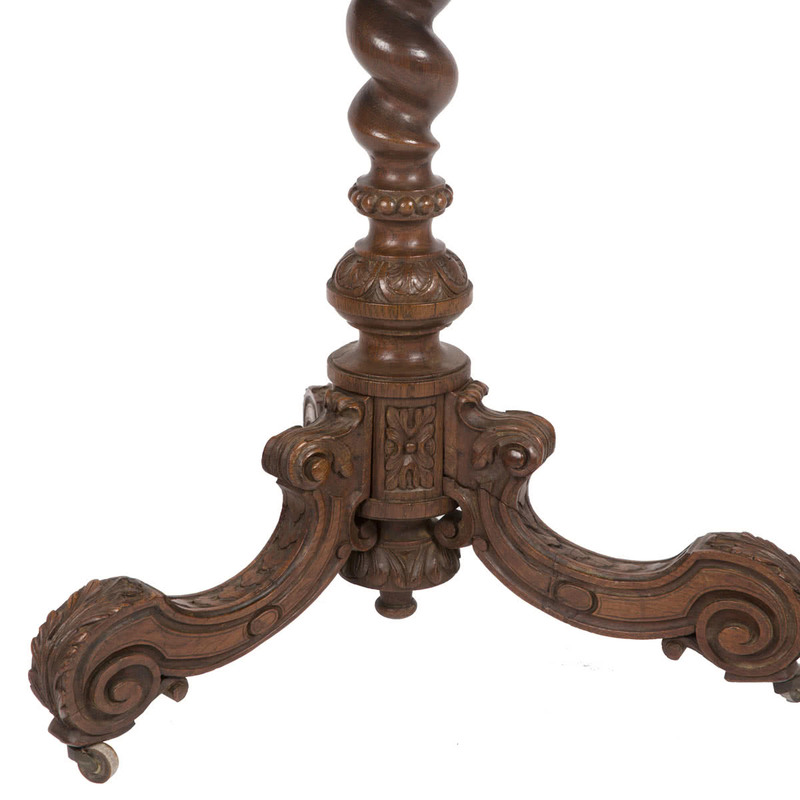 Previous repairs to bottom leg. 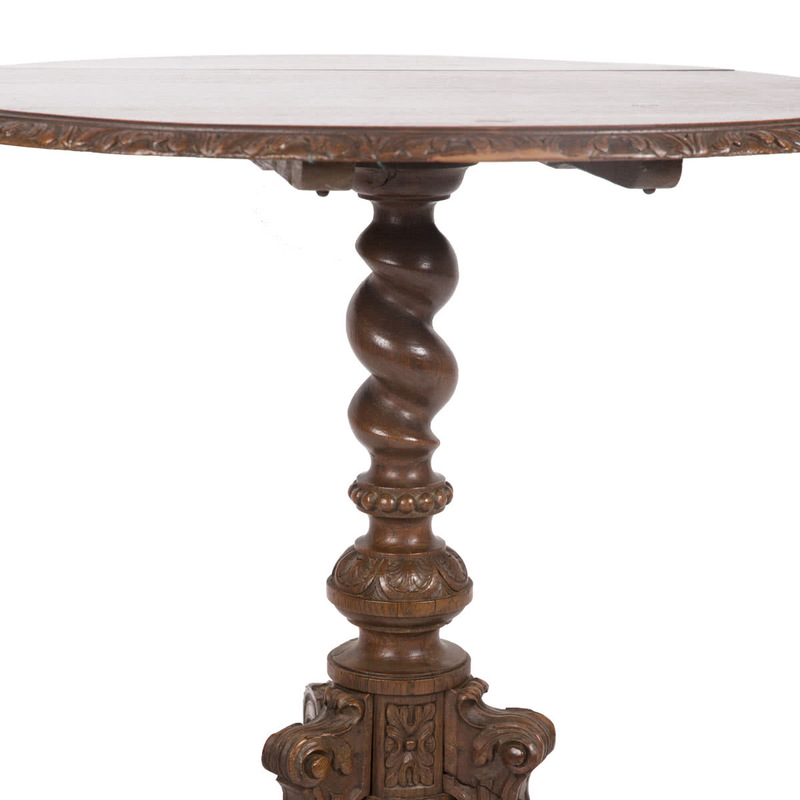 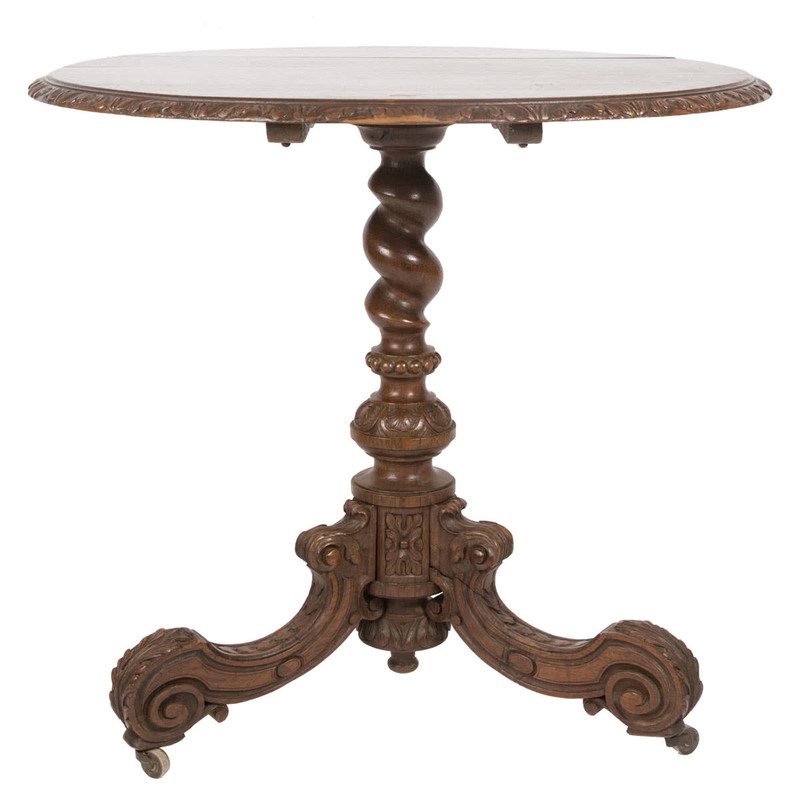 This is a lovely table with decorative carving and twisted central pedestal.